Last year we heard for the first time that LG will try and mimic the big boys by developing a mobile processor in-house for its own smartphones, and a Korean publication reconfirmed it over the weekend, citing one unnamed LG official. 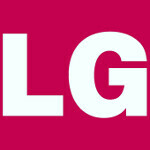 LG is allegedly going to use its first homebrew processor, codenamed Odin, in the upcoming Optimus G2 flagship, which is poised to be its battle horse for the holiday season. Odin resembles very much Samsung's Exynos 5 Octa design, as it will reportedly use eight cores - four 1.8 GHz Cortex-A15 and four frugal 1.2 GHz Cortex-A7 - designed in an ARM big.LITTLE architecture to provide superior performance/power consumption ratio. LG has collaborated with TSMC for the 28nm foundry process, we were tipped. Creating your own SoC from scratch is a bold undertaking, but we've no doubts that LG's engineering capacity is able to pull it off, and can't wait to benchmark an eventual Optimus G2 with the Odin chipset. Heard of krait core? Everyone is following Qualcomm here! I think this is right time for Intel to make a move with their best x86 atom core! The GSIV isn't out yet. There's a chance that the rumours about it are, well, just rumours. nice.... it means we are going forward. To where ? Nokia is going nowhere nokia will announce a dual core phone when lg and samsung announces octa core ones. All he's saying is that the industry is making progress. He didn't make any mention of Nokia, so I'm not sure why you're antagonizing him. He has a picture of Nokia Lumias as his avatar and he is using lumia920 as his name. But @SamsungFan, you really have to be that dumb to think he was talking about Nokia? It could *probably* be more efficient with two A7s and four A15s. Let's just see.